Our family has been involved with Back2Back for many years. In 2000, our oldest child went on a school mission trip with Back2Back. We were all able to go as a family in 2008. 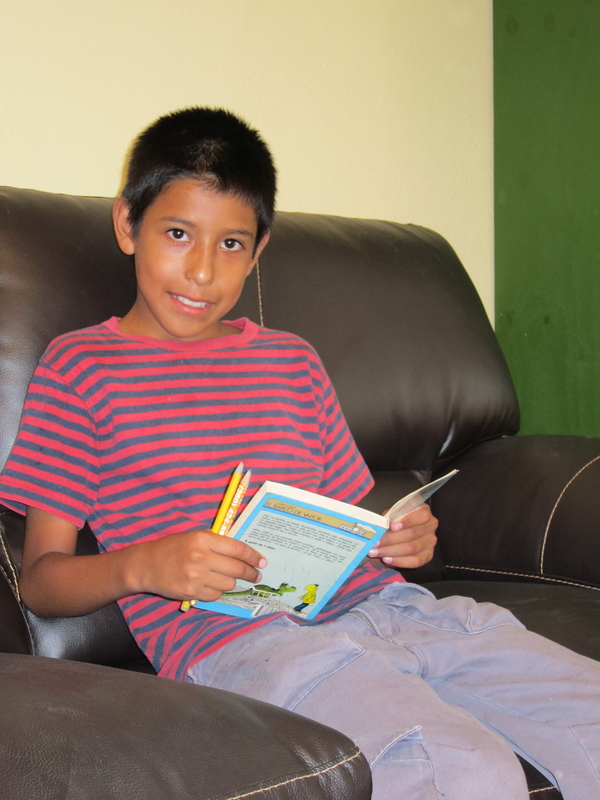 As I served at the various children’s homes, I noticed that the children had little or no access to books. Trained as a reading specialist and elementary teacher, I realize the importance of reading to kids and access to books in a child’s literacy development. As a mom, I witnessed the joy of reading to my kids and the excitement in their eyes as we explored the world through books. And as an avid reader myself, I cherish the time I can spend with a good book. 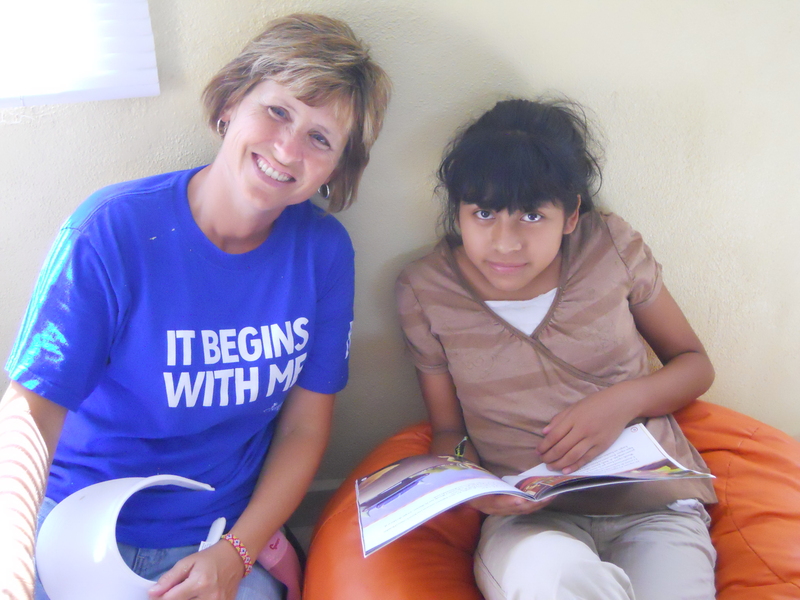 I was saddened that the children living in the homes could not have these same experiences. 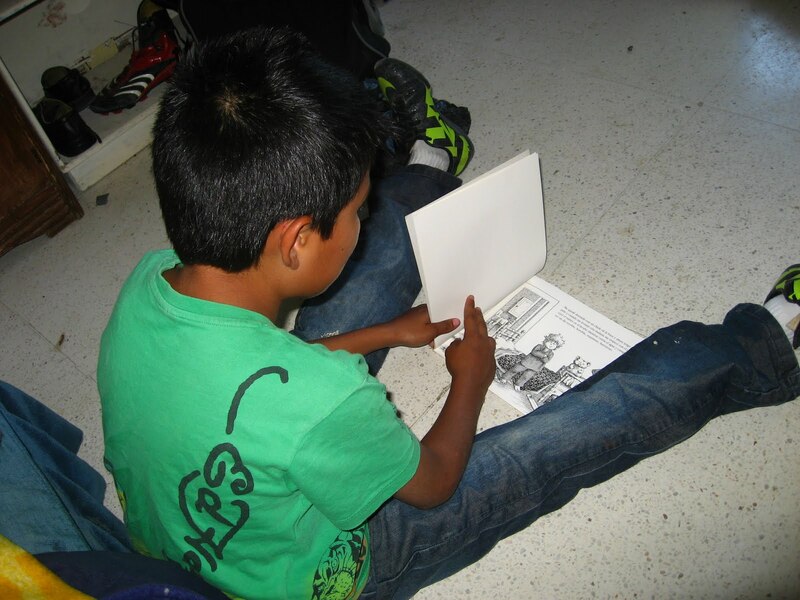 In the months that followed after I returned from my trip, I kept remembering all the children who I had met in Mexico that did not have access to books. God was continuing to nudge my heart to do something. Not knowing how exactly to help, I devoted some time to prayer. In the months that followed, God sparked a solution that began with my kids. Ben, who was in eighth grade, gathered 600 used books to donate to Back2Back. My daughter, Erica, who was a senior in high school, organized a “literacy packet” drive with the Spanish classes at her school. She collected 110 personalized packets consisting of a children’s book, writing materials, and a personal letter to each child. My Bible study also sent packets down. 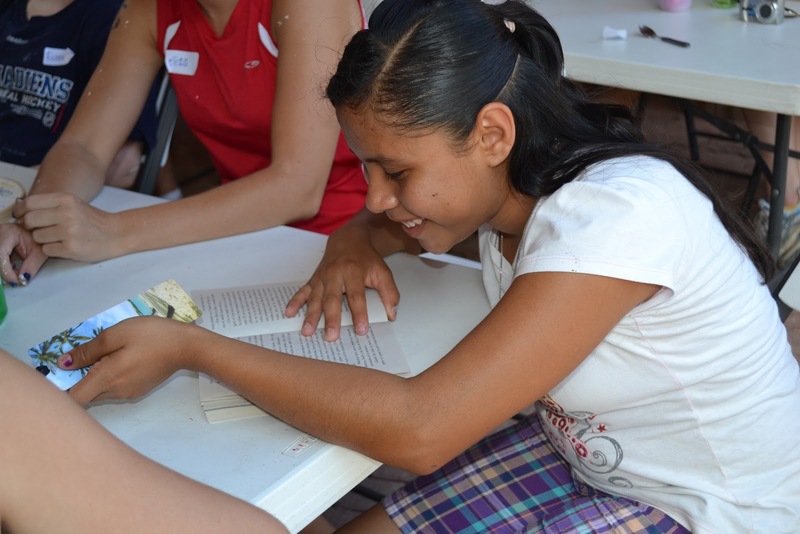 The next summer, Erica was able to deliver the packets when she served again on a school trip. As I shared the literacy issue with my parents, they felt compelled to get involved. My father is a long time member and leader in his local Rotary International group, the Rotary Club of West Seneca, New York. 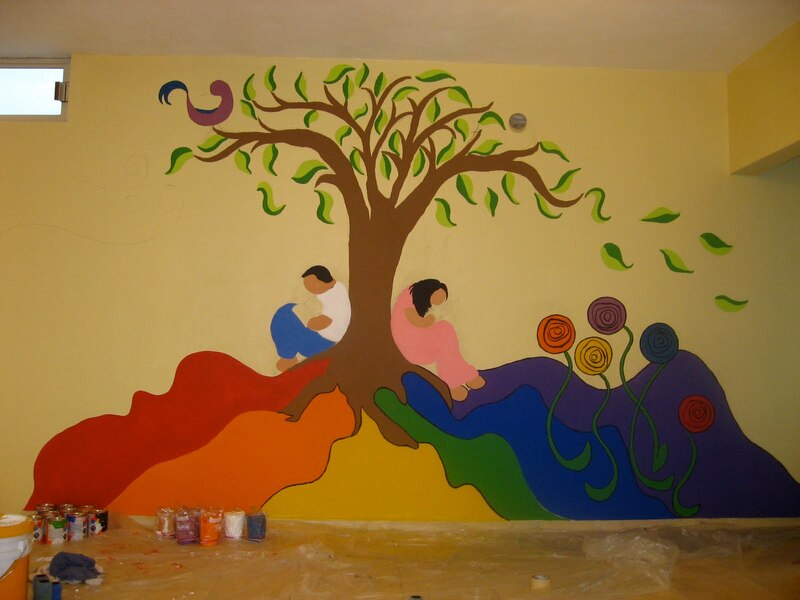 Each year, they adopt an international project to support with a donation of $2,000. I was able to visit the group and give a presentation on the literacy needs of the children that Back2Back serves. Not only did Rotary International agree to donate the full $2,000, but they also offered a matching district grant and a private donation, bringing the total to $6,000. 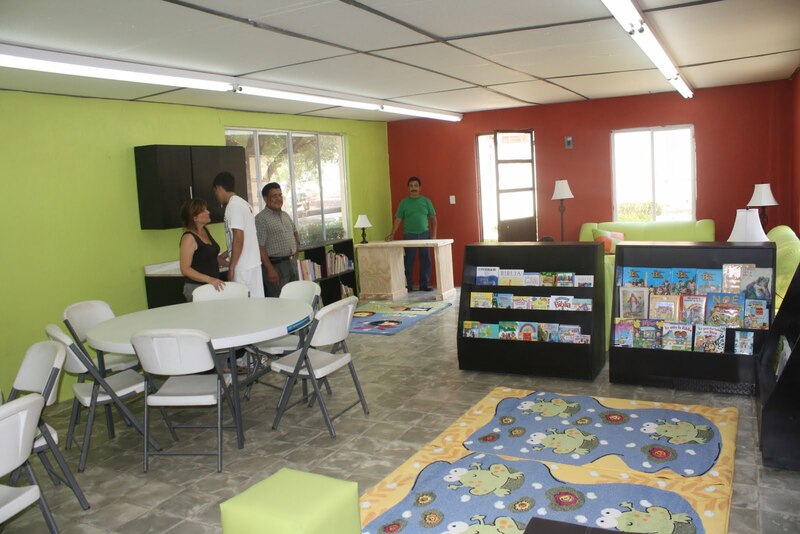 At the same time, Martha, the director of Del Norte Children’s Home, an orphanage that Back2Back serves, was building a library for the children there, but she needed money for books. We had a match! 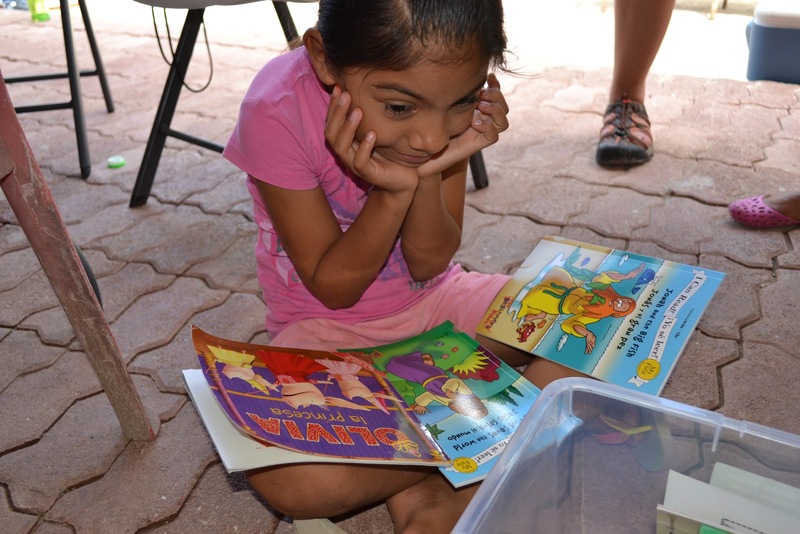 The money donated by West Seneca Rotary was enough to provide books for the library, allowing Martha to fulfill her dream of a library for the children at Del Norte. 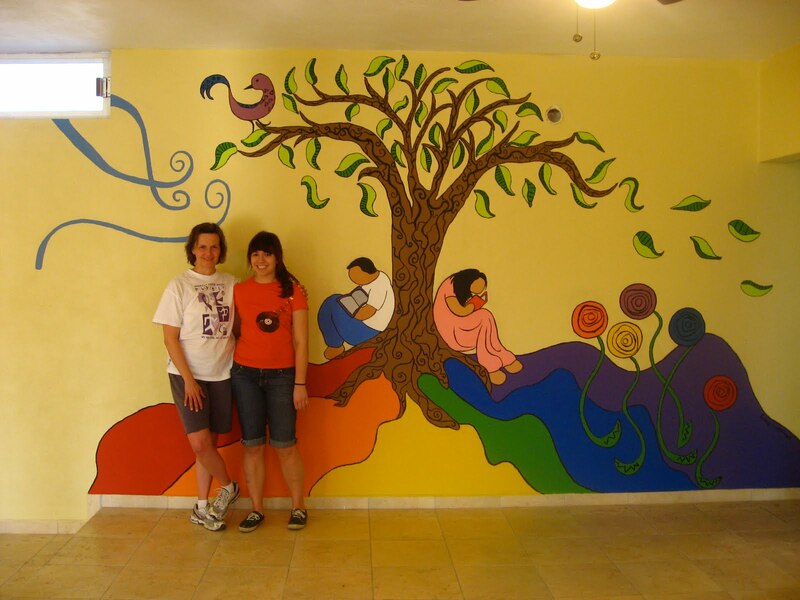 This past March, Erica and I traveled to Mexico to paint a mural on the library wall. It was exciting to see the room where the library was going to be. 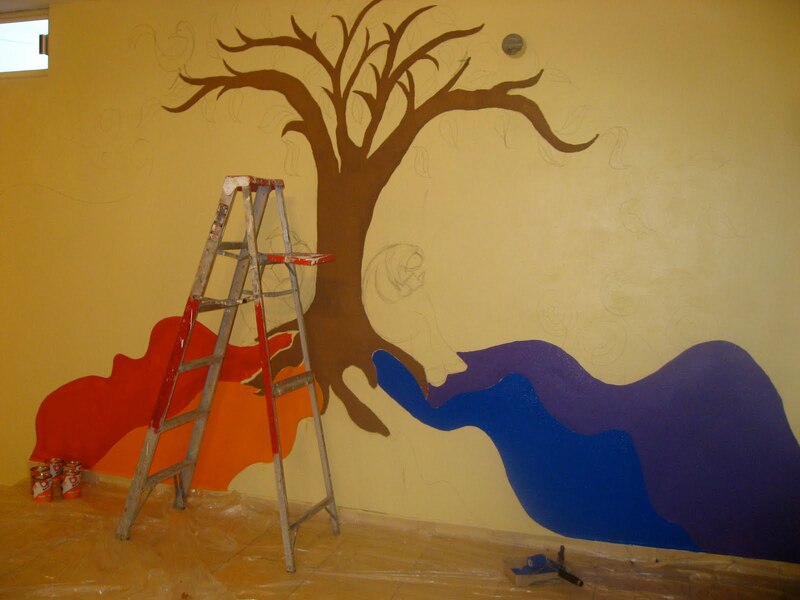 Erica felt honored to contribute to the project by creating a mural. 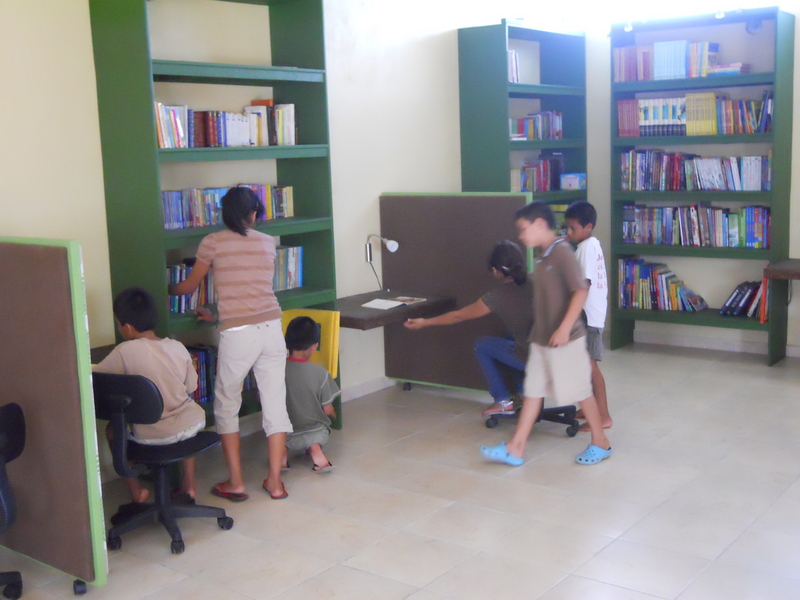 Now, with the library open, I am so thankful that the children have a beautiful place to escape with a good book! Just this past week, I learned that the Rotary Club of West Seneca, NY has approved an additional $2,000 donation towards a library at another children’s home where Back2Back serves, Douglas Children’s Home. Once again, a private donation was given with the possibility of a matching Rotary district grant. The project continues! More books allowing more children to discover the joy of reading! 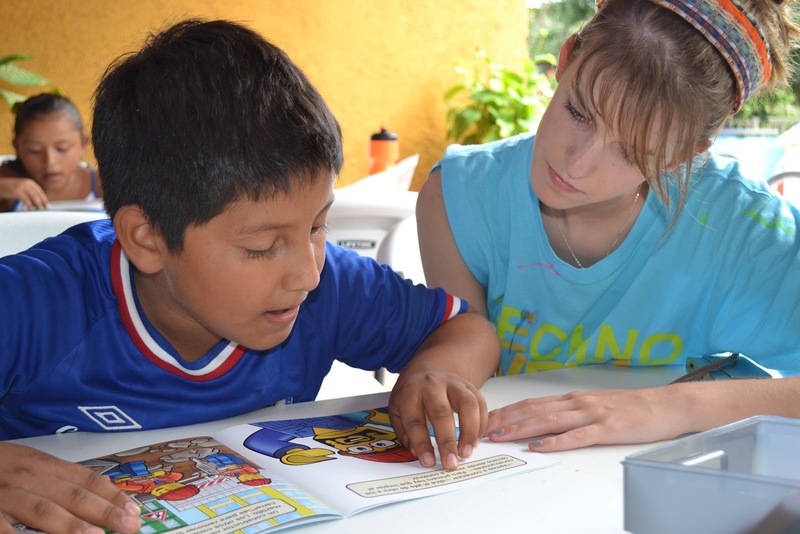 While I was in Mexico, I saw the lack of literacy opportunities for the children, but I felt that there was not much that I could do. The need seemed too great. After I returned home, God continued to put the children on my mind and heart, and I knew that I had to listen. Back2Back staff member, Beth Guckenberger, gave me some great advice, which I clung to: take one step at a time and wait for God to show you the next step. And that is exactly what I did. I began by taking the first step with getting my children involved and then God has ordered the steps that led us to a Rotary partnership. 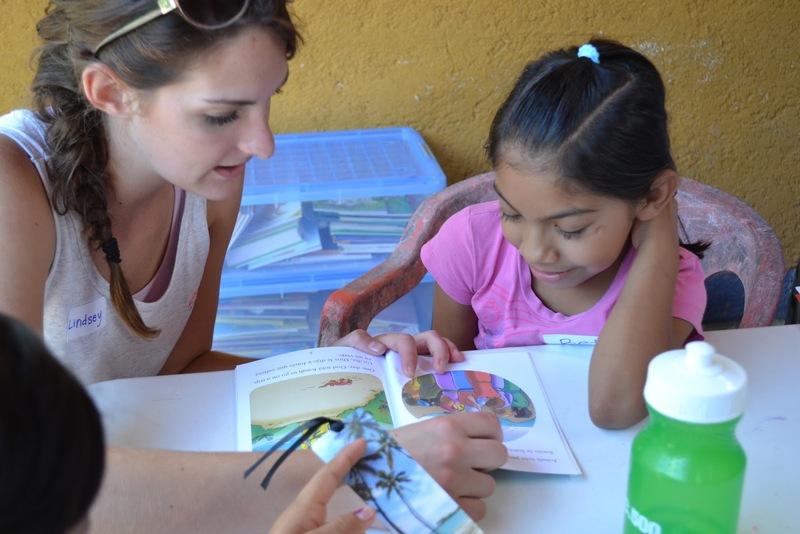 This partnership has provided the resources needed to begin to give the children in the homes an opportunity to improve their literacy and escape into a good book. 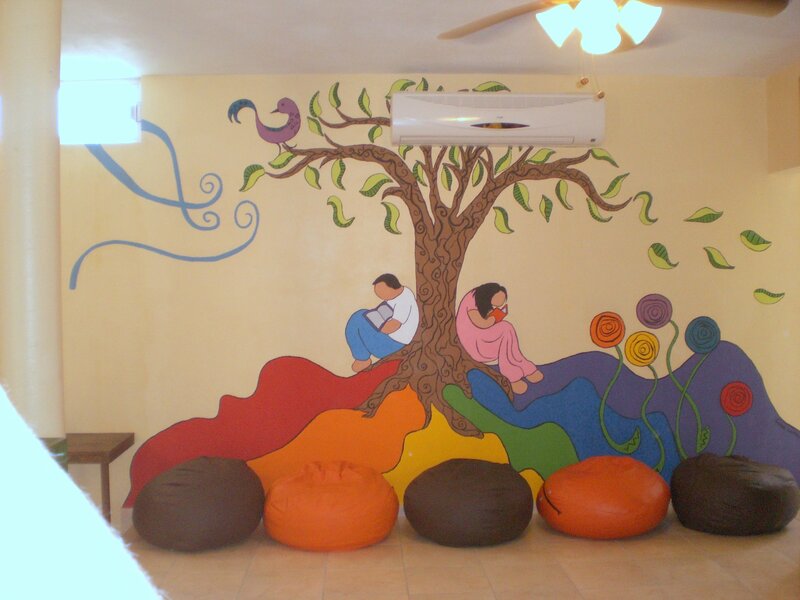 If you have ever served with us in Monterrey and visited this children’s home, you’d remember it no doubt. It is the one that looks sort like it’s out of some imaginary world – one where the kids have trampolines, a HUGE auditorium, outdoor kitchen, homework rooms, a bakery, music rooms, a computer lab and now a huge second story library with outdoor patio. And to top it off, the woman who is the director of this home started the orphanage in her RETIREMENT. This home screams from every direction that God is actively blessing those children, He will hear them, come to them, lift them up, make them a home, give them food and clothing, execute true justice for them and all the other promises that God has made in scripture to the orphan child. And to top it off – those scriptures are actually physically written on the walls in case you missed the obvious. Why a library? 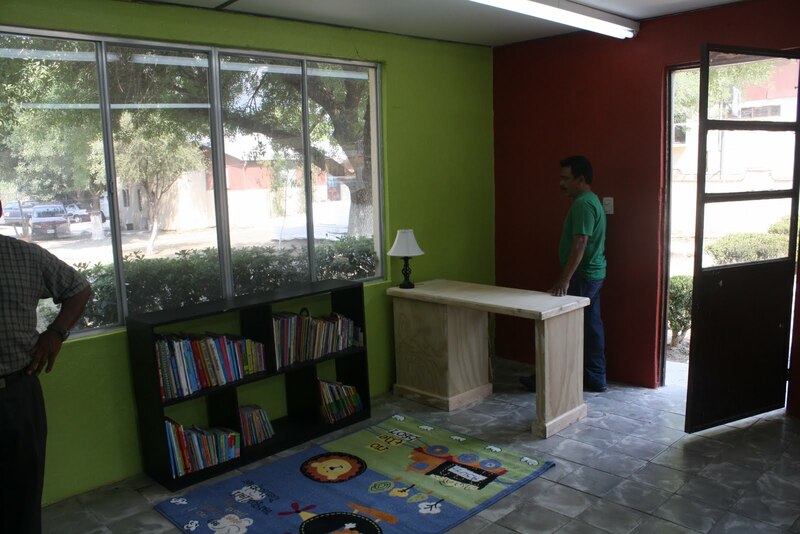 Martha, the director of the home, was in the states visiting a church in Texas last year and saw their children’s ministry area complete with a children’s library. 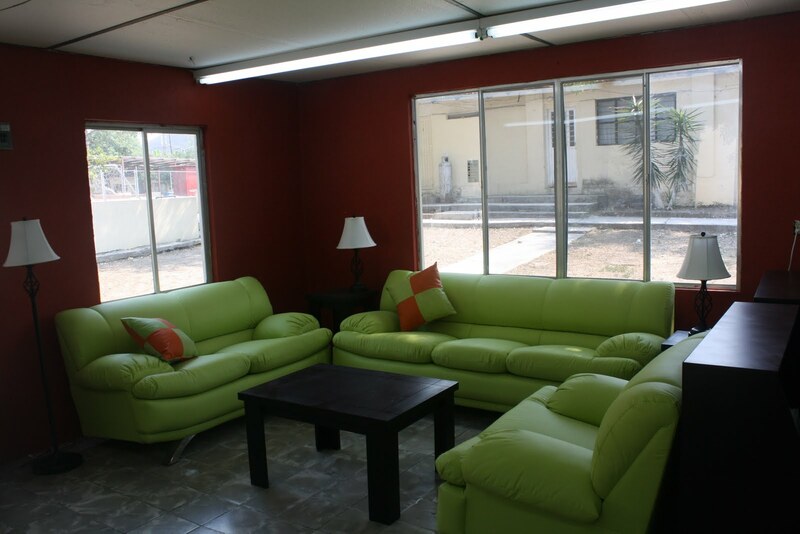 You know what they usually look like – bean bags, colorful carpets, fun art on the walls, tons of books, a few computers, etc. She asked the Americans she was with if the kids liked this kind of library. Martha was a bit amazed at the idea that reading could be fun. 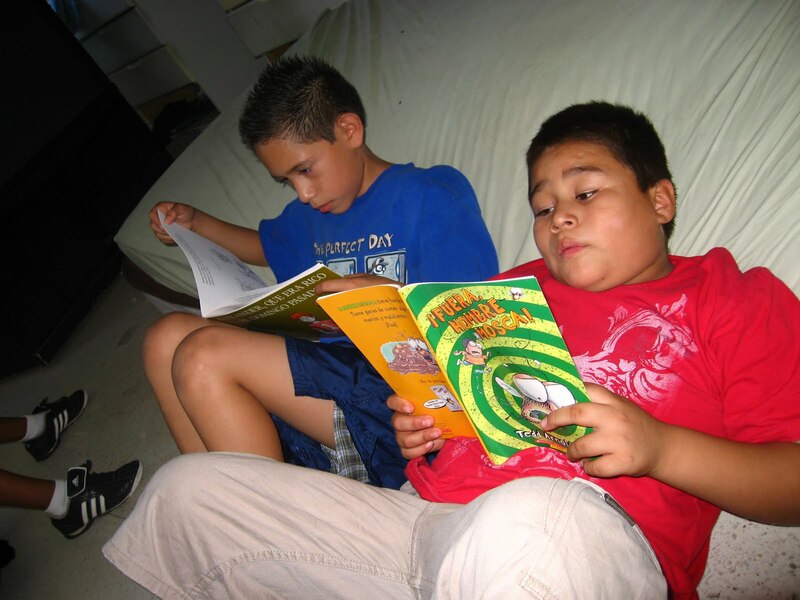 You see, in Mexico, the average school aged child reads one book a year. In the states – the average is not much better but at least it’s at twelve books a year. The kids here very much so associate reading with punishment. Her reason for everything she does for the children was so that the kids would look around at the orphanage they live in and think, “This place is different. Why is this place so different?” And the answer would involve the reality of how much God passionately loves them and is caring for them. 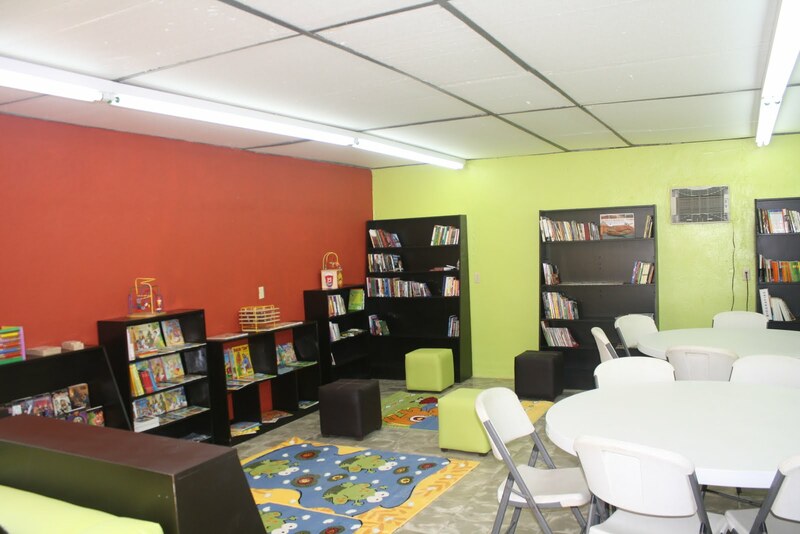 Pretty much NO ONE, no orphanage, no local civic center, nowhere has a children’s library and if they do – it won’t begin to compare to what Martha is building. And the reason is so that the kids might know who God is. Listening to her testimony of the children on the streets that Martha would see everyday many years ago and how she made a decision to care for them which ultimately led to the children’s home Back2Back serves today, it was all I could do to not just cry. Martha is incredibly humble. I’ve never met anyone like her. But what really gave me the chills that day was that she is BELIEVING on faith that the new directors of that home, whoever they will be, and she needs new leadership because she is really old, WILL BE ABLE TO BETTER CARE FOR THE KIDS THAN SHE CAN. After hearing WHY she was building a library, I was shocked. But hearing that Martha honestly believes that God will provide new leadership to follow in her footsteps that will do far greater things than she has been able to – will forever be imprinted on my mind. If you’ve ever met Martha, maybe you can understand a bit of my surprise at hearing this. I’m not sure I’ve ever met anyone as AWESOME, strong, determined, full of faith, dedicated, gentle, sweet natured, kind, generous and passionate as Martha. I want to believe the best is yet to come like Martha does. Don’t you?